California Chardonnays are now equalling or even surpassing the quality of the French Chardonnays! With over 100,000 acres in production, Chardonnay claims more acreage than any other wine grape in California, and reigns supreme as the most popular wine consumed in the US (that’s including reds and whites). Meanwhile, California not only can compete with France in quality, but it has also surpassed the French production of Chardonnay. Thanks to the ripeness of the grapes Californian Chardonnay tastes unusually full and is perfect for drinking with meals. 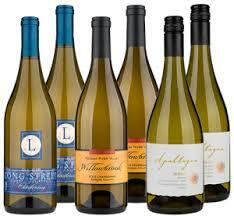 It is time you tried some of these premium Chardonnays! Below you will find an introduction from Barclay’s Wine Los Angeles, California, of which I am an associate and further on I will present more California Chardonnay wines including their ratings, which can be supplied to you by this outstanding on line wine company. We are really just wine guys. We have been in the industry for our entire careers and have been part of some great successes in the past. We don’t know anything else and really don’t want to be doing anything else. We love discovering new treasures and are excited to be able to bring them to our clients. Wine is not work for us, it is our passion. The Internet and the information age have changed doing business in a very exciting way. It is now possible for the passionate winemaker to tell their story (that is actually the easy part) and get their wines to the enthusiastic consumer (which is still a difficult task) without the filter of an overbearing bureaucracy. Put simply, that is how we fit in. Not to make the wine or write the story but just to be the conduit that allows the winemaker and the consumer to meet. Our team travels the planet in search of great wines and the amazing stories that are part of each one. Barclay’s Wine is designed to fit the budget and interest of all wine enthusiasts. From the casual consumer to the ardent collector, Barclay’s is focused on our clients to make sure that you get what you want. We understand that there are alternatives and that, no matter how well we have done in the past, we are only as good as the last wine you received from us. So, at Barclay’s Wine you will learn very quickly that, whatever option you select, your interests will always remain our first priority. Barclay’s Guarantee. When all the talking is done, you need to be happy with whichever option you select and the wines that are coming to your door. It is not important that we think we are doing a great job, it is only important that you feel we are doing a good job. That is why our guarantee of your complete satisfaction is not just a slogan. We back it up by telling you that, whatever option you select, you will never pay for a wine that you don’t like. No questions. No issues. No problem. What do the wine ratings mean? Based in Monterey County along California’s famed Central Coast, Jenna winemaker blended fruit from a cool-climate vineyard along the Arroyo Seco riverbed with a small lot from a warm inland valley. The result: a stylish, delicious, classic California Chardonnay. 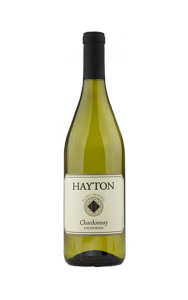 Its fresh fruit aromas lead to flavours of apple, nectarine and ripe juicy melon. A hint of toasty oak and vanilla from oak ageing adds depth and complexity, while a balancing acidity keeps it refreshing. 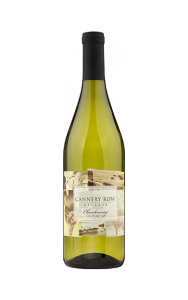 The 2013 Cannery Row Chardonnay goes great with grilled or steamed seafood, especially shellfish. Buy this wine and save by clicking any of the red Barclay’s banners on this page. This wonderful Chardonnay is a limited production wine created as a tribute to one of California’s pioneering vineyard families. It has a refreshing “say no to oak” style – bright and light with citrus, apple and tropical fruit aromas and flavours. A gentle acidity adds structure while allowing the delicate fruit flavours to shine. Versatile and food-friendly, it makes a good choice with seafood, poultry, or pasta dishes with butter-based sauces. When we taste 1000’s of bottles every year looking for only the very best, there is a lot of hit and miss when it comes to find balanced Chardonnays. 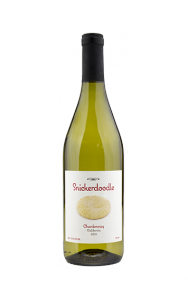 It has to be just right and that is exactly what Snickerdoodle is, just right. 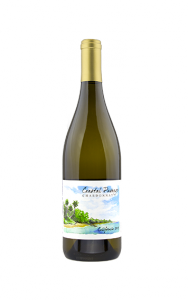 The fruit is fresh with flavours of green apple, nectarine, and juicy melon. With only a small touch of oak, this wine remains crisp and refreshing with a perfect amount of linger in the finish. Purely delicious Chardonnay, a gem of a find from California. We know you are going to love it. 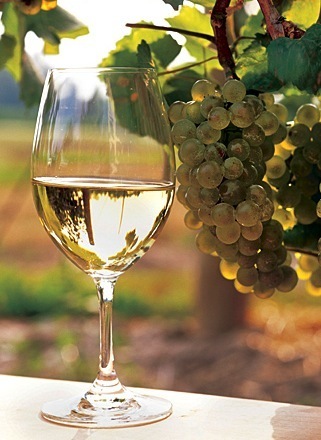 Chardonnay comes in many styles from the light and vibrant to silky and rich. In very small areas of the world, where the rolling hills get blanketed by coastal fog and breezes, Chardonnay takes on a whole style of its own. California Chardonnay is stereotyped as rich and buttery, but there are producers who are making Chardonnay in the balanced Burgundian style with lots of fresh fruits and vibrant acids to make the non-Chardonnay drinker a fan. That’s where Coastal Passage Chardonnay comes from. This wine opens with aromas of daffodil, pear, and apples, with hints of freshly baked French bread. Flavours range from peach to lemon tart and crème fraiche with rich mid-palate texture and a finish of grapefruit and green apple. For other California Chardonnay wine reviews, click the three images to the right under the heading World best Chardonnays. Let me know if you have any questions and feel free to chime in with a comment and I will be back to you within 24 hours. 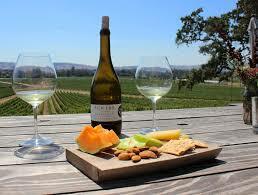 The Californian Chardonnay looks like a great wine. My knowledge on wine was a bit rusty the other day when I had to buy a bottle of dry white. I went through the whole liquor store the other day to buy a bottle of wine and it took me a long time to decide on a bottle. 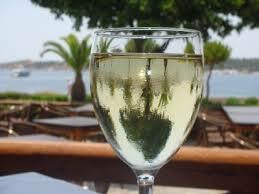 From your score of 85-89 , what would you say is the best dry white wine in that category? 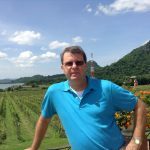 Hi, this is a very informative post about wine and different products from different places to buy them. You have also explained the wine ratings and their meanings in a readable and easy-to-understand way. You have explained the Barclay’s Wine so that someone who never heard of this gets the point. I never heard of this company before reading your post. 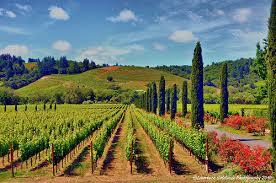 You have also talked of the current technology, and how it assists the winemakers and consumers. Thanks for the information.